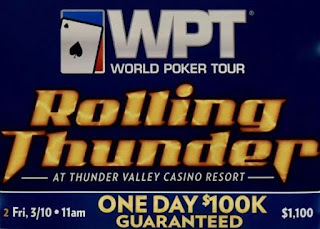 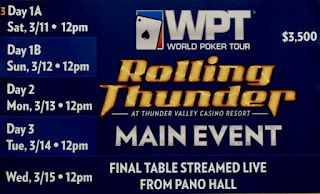 5 tournaments in 7 days - the World Poker Tour comes here March 8-15 for the annual Rolling Thunder series. 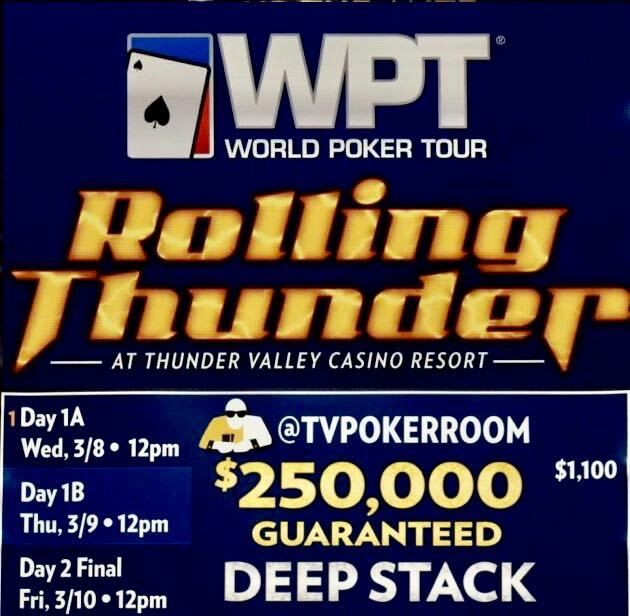 Wednesday and Thursday are the two starting flights for the kickoff event - the $250,000 Guaranteed @TVPokerRoom DeepStack with 20,000 starting stacks, 40-minute levels, a $3500 Main Event seat to the winner, 1 re-entry per player per day, registration ending at 6:40pm daily (after the dinner break) and much more. 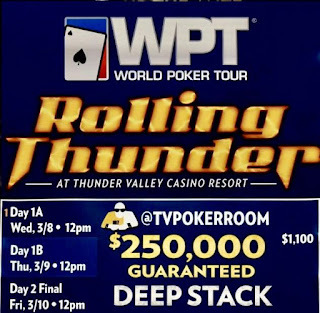 The $3,500 Main Event with Saturday and Sunday starting flights - 30,000 stacks, only 8 hours of play both Day 1 AND Day 2 - registration and re-entry open through Level 10 on Day 2 - hour-long levels until the 36-player redraw, 90-minute levels at that point. 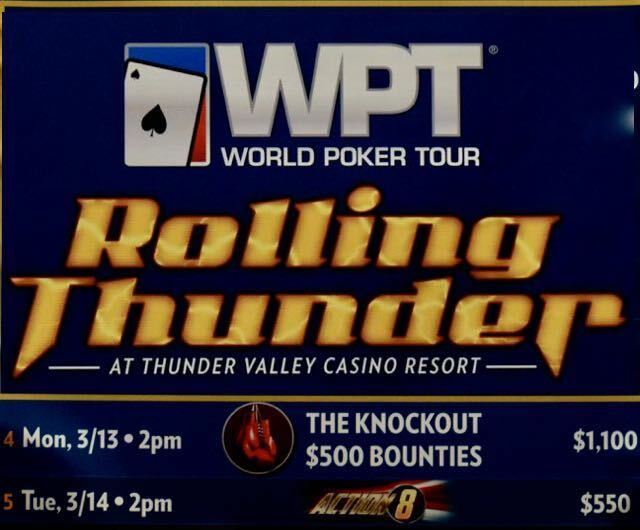 Close out the series with two great events - a Monday $1,100 Knockout with $500 bounties. Yep a $500 bounty for each Knockout. 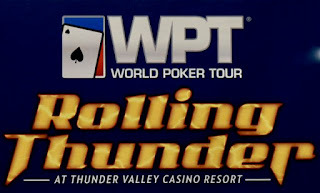 Get the antes in play with the very first hand on Tuesday's $550 Action 8 with 8-handed play and unlimited re-entries. The entire schedule is here - with all entries, satellites and structure sheets.